Today, quality data management and data analytics are at the center of most businesses – and this has happened faster than we could have imagined. Whether you are a fresher or a senior executive, data and the power of analytics that it incubates is rapidly transforming the whole definition of customer engagement and the intersection of experiences. From attracting shoppers to visiting a site, to delivering customer success in post-sales journeys, analytics impacts everyone in the business, especially if you are at a point of commercial transaction. In their most recent report, CMO Council, in partnership with IBM Watson Customer Engagement, released a deep study on how marketing, commerce, and supply chain leaders fear that there is simply not enough time, budget or patience to unlock all of the data’s potential. The impactful study, entitled “Doing More with Data: Discovering Data-Accelerated Revenue Traction,” lays bare facts related to AI, machine learning, customer experience and revenue churn, based on these new-age technologies. 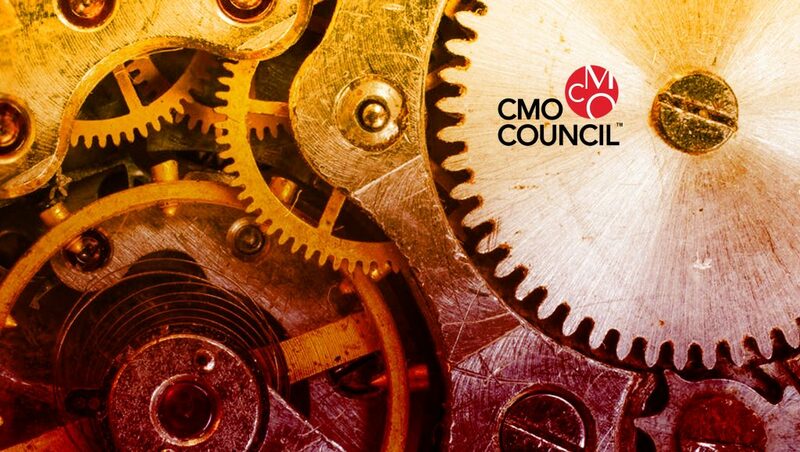 Here are seven key highlights from the CMO Council and IBM Watson report. CMO Council finds that nearly twenty-five percent of the respondents agree that they don’t have enough time, patience and/or budget to actually translate all the data they work with into potential revenue churner. While data is the most powerful business currency today, lack of insights could further hamper the way data is mined for making business decisions. Yes! This is the most astounding revelation from the CMO Council report – Marketers find delivering a relevant customer experience is an obligation, a commanding proposition essential to growth, acceleration, and sustainability. Yet, marketers find themselves lagging in the way they deal with the data supply chain – especially with their own internal data assets. Marketing teams always had the upper-hand in getting the first look at the data and the resulting analytics. To transform data management, the assets need to move beyond the marketing silo. The CMO Council report suggests that success with data analytics is possible only when three critical functions – marketing, commerce, and supply chain, work in sync to amplify data strategies. 78 percent of the 165 senior executives surveyed by CMO Council for this report say that they’re exploring into tools enriched and driven by AI in the next 12 months. Committing to the full adoption of AI, nearly one-third of these executives also affirmed that implementing AI would further maximize operational productivity and boost customer engagement. Top sources of data are CRM, and insights derived from marketing automation, campaigns, social media, financial and transactional data. 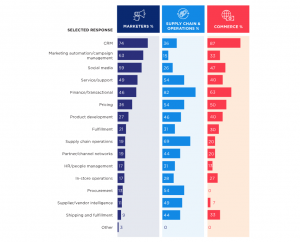 However, more than forty percent of these marketers also think that sales is a key data collaborator in enabling marketing teams to fulfill overall business goals and priorities. Ranking very close to sales – supply chain are also up there as key data collaborators. CMO Council introduced a word- Data Optimism. The word, as analyzed by CMO Council, leads us to acknowledge why it is that working with data is still a ‘hit-and-miss’ projection for supply chain and commerce. And, not for marketing! According to the report, it’s the business culture and the current attitude in the organizations that hampers data optimism. The attitude is a barrier to making organizations believe that data is actually not that hard to access and use. 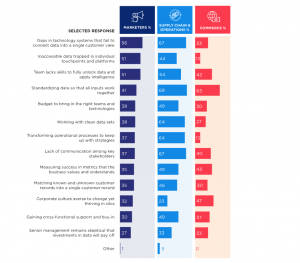 Apart from AI, of course, the respondents see new tools and toys are critical to data management and data transformation. These tools are CRM, Customer engagement/experience platforms, and user-identity management tools. A dark horse in this race is – Channel/ Partner management platform. While they may all find themselves originating from different the stacks; they end up serving one greater goal – Doing more business with the customer at the center – sticking to the commitment of delivering what the customer wants. “The question is not if data is important for any organization with customers… it is if the ability to do more with that data will mean the difference in engagement, profitability, and success,” noted Liz Miller, Senior Vice President of Marketing for the CMO Council. The research stems from a survey of 165 marketing, commerce and supply chain executives, as well as 12 deep-dive interviews with executives who reveal the ways they are rethinking their engagement strategies through the smarter use of data insights. Those executives hail from brands like AT&T, The Body Shop, Samsonite, REI, Ryder, TD Bank, Cabela’s and Nordstrom.